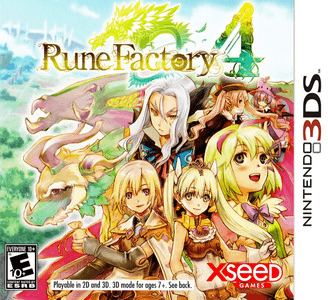 Rune Factory 4 is a simulation/role-playing video game developed by Neverland Co. and published by Marvelous AQL for the Nintendo 3DS. It is the sixth game in the Rune Factory series. No gameplay issues at all. Some cutscenes may have a slight FPS hit, but there are no performance problems in normal game play.